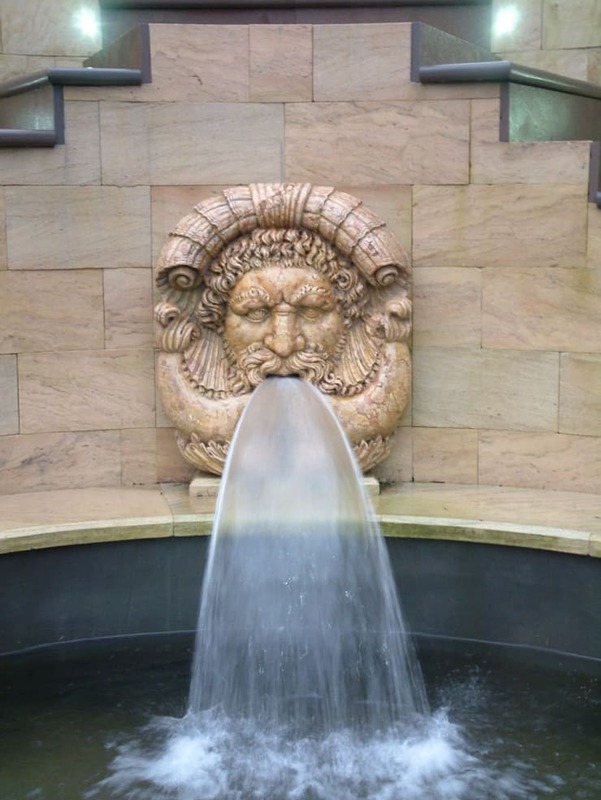 The project completed showing the centre piece, which is a hand carved marble River God with water gushing from his mouth into a pool. Large raised beds full of exotic planting frame the terrace of volcanic stone. 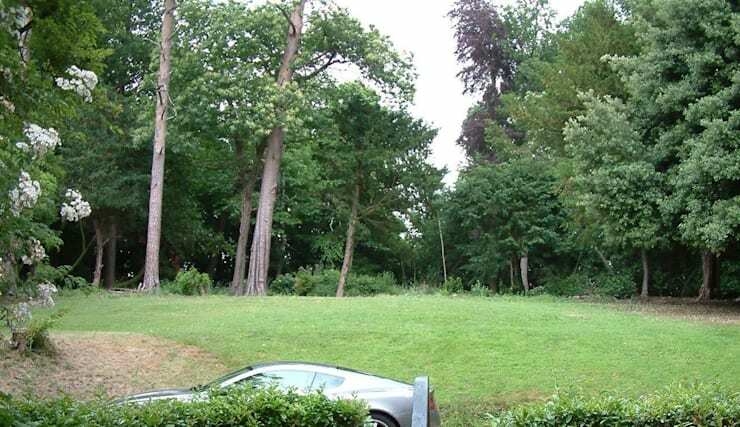 The steps either side lead up out of the feature to the woods and tennis court beyond.